In Human, hair is also a main component which attracts the people most. So every body wants to be handsome and smart , so they have to take a proper care for their looks. In this diet affects the most. Diet is a major reason of our health, it affects every part of our body. Therefore diet should be proper and hygienic. Read how you can take care of your hair. 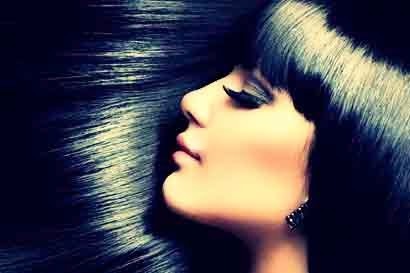 For silky, long and shinning hair you should eat green leafy vegetables and sea vegetables. Iron rich and calcium rich food, eggs, dates, raisins, almond, gooseberries should eat for the growth of hair. Water is also major part of our body. Deficiency of water in body creates most of the problems. One reason of dandruff in hair is due to deficiency of water. So, you should drink a lot of water. Firstly the water you are using should be not too hot and not too cold. Then gently massaging your head with finger tips not with nails while shampooing. Your hair thoroughly in order to get all of the shampoo. After shampooing rinse your hair well and dry it with a clear towel. In hair there are small pieces of dead skin called dandruff. This makes our hair weak and dull. These dead skin cells appear as white and grayish patches on scalp, skin and clothes. Dandruff also known as scurf or pityriasis simplex capillitii. For shining you should firstly remove dandruff from your hair which is common disease now in hairs. 1) You can massage your hair with coconut oil to remove dandruff. This will also help growth of hair. 2) Apply coconut oil with lemon and olive oil on hairs and then wash it after 1 hour. 3) During washing your hairs you should not use too much hot water because hot water is also a reason of dandruff and itching in hairs. 1) You can use curd with coconut oil, apply this mixture on your hair and wash it after 1 hour. 2) Apply the mixture of egg, castor oil and then wash it after sometime. 3) Take dry amla and shikakari in a kettle full of water and keep it for a day. Next day wash your hair with it. 4) You can wash your hair with tea once in a week. Environment is the big reason to damage your hair; you should care your hair from bad environment. Before going anywhere you should take your scarf, hat, and cap and wear it. It protects your hair with dust, sun, moisture and also from air pollution. 0 Komentar untuk "Tips To Get Shiny and Beautiful Hair Fast By Expert"